Benetti is building a 63 metre custom superyacht, with construction to begin on speculation. The Italian builder has chosen the occasion the of Miami boat show to announce this and other commercial news, including that it has sold nine yachts up to 65 metres in length since September 2014. This is in addition to new orders for Benetti superyachts in the 100-metre range, announced at Cannes boat show. The largest Benetti currently in build is 107 metre hull FB275, set to deliver in 2019. 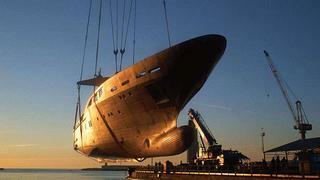 Benetti currently has a 90 metre in build for a repeat client, set to splash the end of 2015. Encouraged by these sales and the number of large, custom yachts in build, Benetti has decided to ride the wave of commercial success and embark on a build on spec with its latest custom yacht, beginning production on its 63 metre custom. According to Benetti, "This will ensure that even clients with short delivery constraints will have the possibility to own such a large yacht in a relativity short time." The builder also reports that it will deliver 19 yachts in 2015, including seven yachts 50 metres or larger from its Custom range and 12 semi-custom yachts. Benetti currently has 45 yachts in build at its two yards in Livorno and Viareggio, Italy.